Published in the proceedings of the IEEE Intelligent Transport System Conference, ITSC 2017. The first dataset and the associated ground truth data will be upon request; images will be in the standard PNG file format, the ground truth in a text file. A ROS bag file will be available on request. The images were recorded using two PhotonFocus MV1-D1312-40-GB-12 cameras at the 1312x540 resolution on the A4 highway (from Milano to Bergamo and vice versa), Italy, in real traffic conditions, by IRAlab [link]. Before links are made available, send email to domenico .dot. sorrenti @at@ unimib .dot. it to ask for the material. 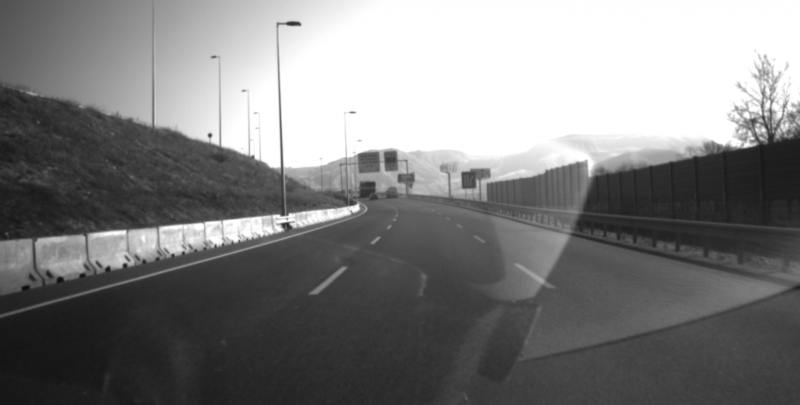 The second dataset was recorded on the A2 highway (from Alcalá de Henares to Madrid and vice versa), Spain, in real traffic conditions, by INVETT [link]. Before links are made available, send email to domenico .dot. sorrenti @at@ unimib .dot. it to ask for the material.